Both of these cases are blights on American history. Fortunately, the first, Dred Scott, has been officially relegated to the dustbin of judicial disgrace, while the second, Roe v. Wade, continues to be used as justification for mass genocide. With each passing day, the bodies of the innocents pile-up like God’s chosen at Auschwitz. Not only did this 5-4 decision effectively deconstruct the institution of legitimate marriage, removing all ethical and legal justification for barring similar such perverse “marriage” amalgamations as “gay marriage” (i.e., multi-party or incestuous nuptials) – it also laid the groundwork to force the 37 “marriage reality” states to join the remaining 13 in a corporate “marriage equality” delusion. This is not just judicial activism; its judicial tyranny – a potentially fatal self-inflicted wound to the high court’s yet waning legitimacy. Still, while much will be written about Windsor from a legal standpoint, for now, let’s focus on another of the decision’s inevitable outcomes: Anti-Christian persecution. 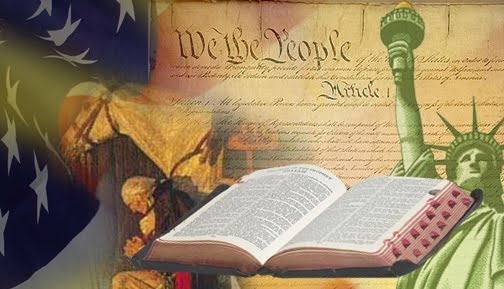 If, through judicial fiat, “gay marriage” ultimately becomes the law of the land, tens-of-millions of Christians (as well as Jews and Muslims) will be forced to choose between obedience to God and obedience to Caesar – between fidelity to conscience and government oppression. As we’ve now seen in states that fancy mock “gay marriage,” for instance, the only way to force Christian individuals and business owners – such as bakers, photographers, innkeepers and florists – to lend their talents to sin-centered “gay weddings” is through the power of the police state. This amounts to a systemic, immoral and profoundly unconstitutional trampling of the First Amendment. What follows will be a deviant-sexual-behavior-based “LGBT” suspect minority class with all the associated trimmings. In the eyes of government, Bible-believing Christians will be treated as modern-day racists. Any outward expression of the Judeo-Christian sexual ethic will be trumped by newfangled “gay rights” and deemed verboten. For all intents and purposes, Christianity will be criminalized. This is not mere speculation. It’s been the plan all along. Since, no doubt, the Obama NSA has already read our entire email exchange, I thought I’d go ahead and share excerpts with you as well. My colleague’s insights are profound. I found them encouraging. I hope you do, too. “I agree with you,” he responded, “and that conviction makes all this much easier. What depresses me is the astonishing disconnect and irrationality that sin so easily produces, and how quickly it spreads; we are truly sheep and fully as stupid without a Good Shepherd. “In my 35 years as a Christian, I never seriously believed we might end up in prison for our faith – except, perhaps, for something like a pro-life demonstration. This is the first time it seriously occurs to me that the trajectory of the nation is such that it is possible in five to 10 years. Oddly, this thought does not discourage or scare me; in fact, it’s almost a joyful thought that we might have the privilege to suffer for our faith. Rejoice greatly when men revile and persecute you for my name’s sake, for your reward is great in Heaven (a rough paraphrase of Matthew 5:12). “You nailed it,” I replied. “What an honor that our Creator chose us before time began to be part of a Gideon’s army of truth-tellers and defenders of the faithful. It’s an amazing time to be alive. But, as you mentioned, although we’re on the front lines, we also have tremendous support. It’s quite liberating to be written-off by the world and, consequently, free to speak and behave in a way that reflects the reality that we couldn’t give a rat’s behind what the world thinks of us. Those we represent rarely have that luxury. “Whether it’s one day or hundreds of years,” I continued, “I really believe we are living in the last days (in the total scheme of time and space). I just hope that when and if the time comes, the Holy Spirit gives me the strength of character to not only refuse to deny His Truth, but to be like our martyred brothers and sisters who walked up and kissed the stake before being burned alive on it. Do I really believe American Christians will be burned at the stake over counterfeit “gay marriage”? No. Do I believe Christians will face real persecution, such as loss of livelihood, civil penalties, physical abuse or even jail? Absolutely. In other words, mock “marriage” or not: Keep on keepin’ on, my friend.